You can customize your blog subscription email template in your blog settings. In the left sidebar, navigate to Website > Blog. Use the Select a blog to modify dropdown menu to select a blog to edit. If you only have one blog, you'll only see one listed. 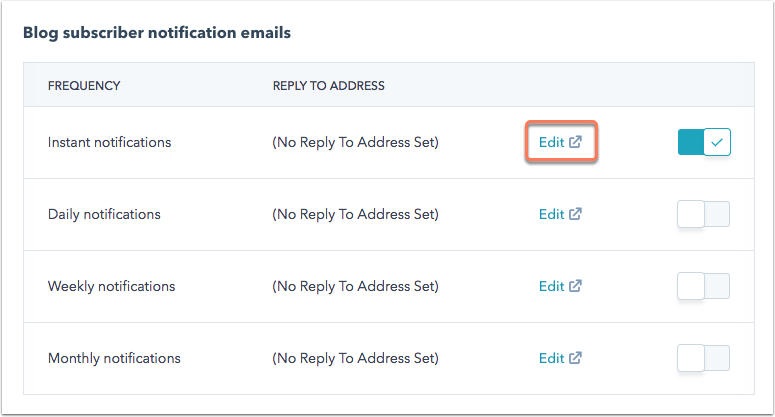 In the Blog subscriber notification emails, click Edit to open the email editor for a specific blog notification email. Emails that are currently enabled for your blog will be indicated with the toggle switched on in blue. In the email editor, click Settings. Hover your mouse over the template preview and click Edit template. 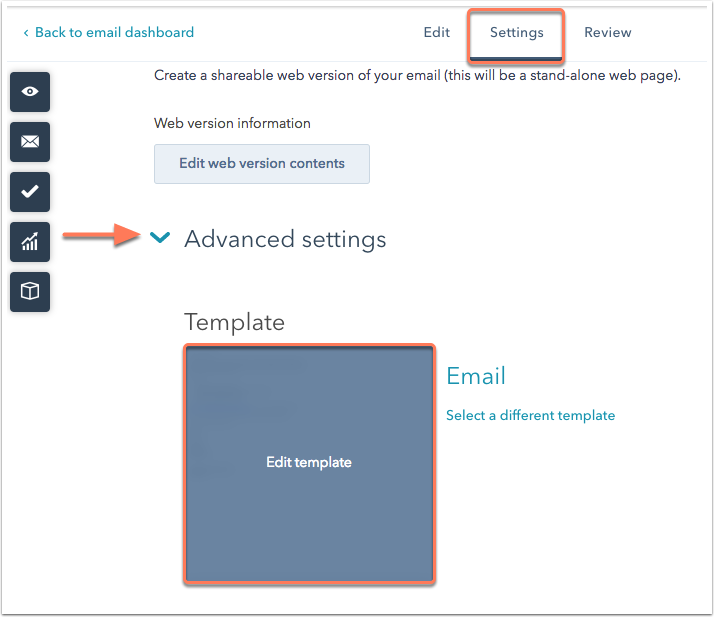 You may be prompted to clone the email template if there are other emails created with the same template. Make any changes you require to the template content and layout. When you're finished editing the template, click Publish changes. The new blog subscription email template will be applied automatically. In the email editor, click Publish to take your changes live. When ready, click on Update Blog Email.